When I cook I tend to chop and change fairly regularly between the metric and the imperial systems subsequently I thought it would be useful to set out a fairly straightforward conversion chart to help. I find the “Cup” system that is used in a number of countries downright confusing – particularly if you try and convert an ingredient into grams (for example: 1 cup of sugar = 200g, 1 cup of flour = 130g, and 1 cup of butter = 225g). In addition to that, there are different cup measurements according to the country that you are living in. For instance, New Zealand follows a different cup system to that of the USA. TIP – take a black marker pen and mark a container with cup measurements on it. 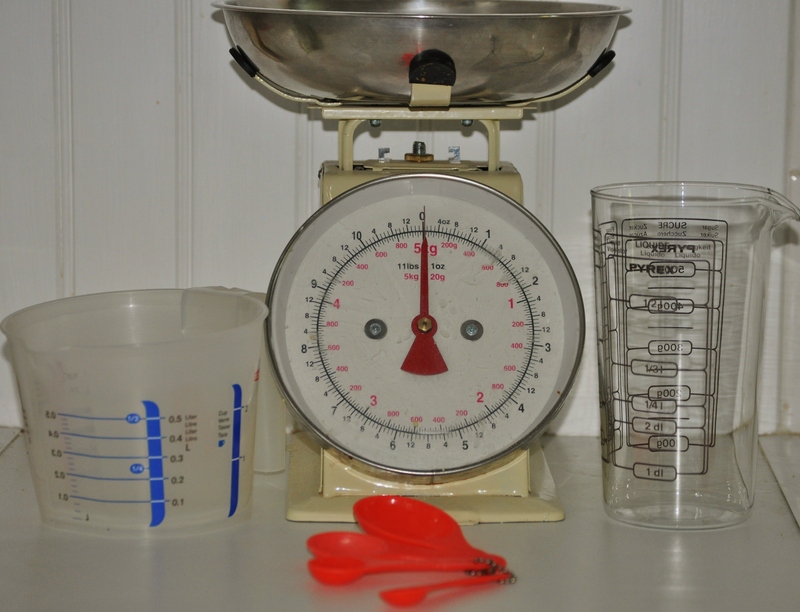 Then, measure your weights by their volume rather than going to all the hassle of trying to work out the weights according to the ingredient being used. A couple of weeks ago we had a plum/prune drying disaster as we failed to realise that the recipe we were following was in Fahrenheit and not Celsius, so I thought I would note down the conversions that apply to temperatures. NOTE: Fan ovens tend to be a little bit hotter than a standard oven turn the oven temperature down a little e.g. if a recipe says 180C – use 170C fan.